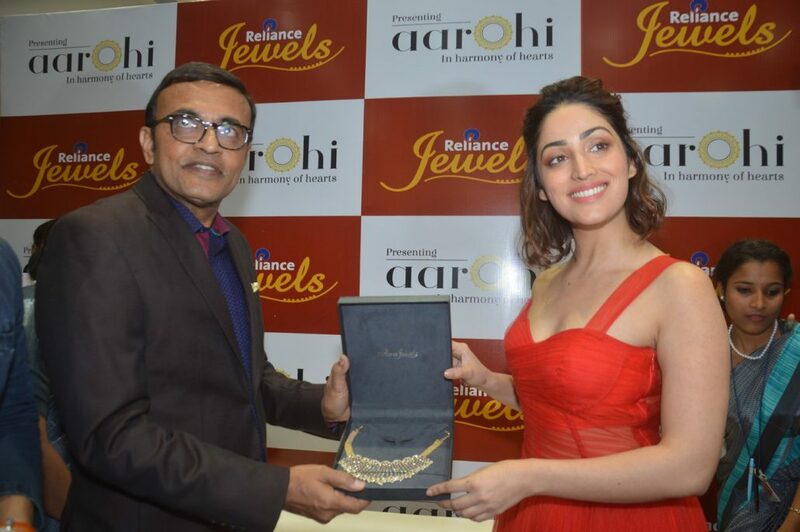 Bollywood celebrity Yami Gautam at the inauguration of Reliance Jewels showroom in Guwahati on December 6. Photo credit: Northeast Now. Reliance Jewels, one of India’s most trusted jewellery brands, has launched its new flagship showroom in Guwahati on G S Road, Opposite Sohum at Christian Basti. This premium showroom, spread across 3241 square feet was today inaugurated by renowned actress Yami Gautam. The new showroom will treat its patrons to a magnificent new look and designs that spell grandeur and will also showcase exclusive traditional and contemporary collection in gold, diamond and solitaire jewellery. Customers can avail up to 100% off on making charges of Gold & Diamond Jewellery till January 1, 2019. The new showroom with its distinct ambient lighting and eye catching display complemented by delightful customer service is sure to win hearts of patrons and enhance their shopping experience. Yami Gautam said “Jewellery has always been an integral part of my life & I love exploring unique designs for different moments. With the wedding season round the corner, everyone wants to look their best & will be on the lookout for contemporary as well as traditional designs to complement their look. I personally connect with Reliance Jewels as they offer an exquisite range of jewellery, apt for every occasion and moment – be it wedding, special events, festivals & minimalistic designs for everyday look. I am happy to be associated with the brand and wish them all the best for their new & upcoming stores”. Over the years, Reliance Jewels has catered to wide range of audience. With maximum focus on consumer outreach and innovative jewellery. Reliance Jewels has expanded its horizons rapidly. Available in Standalone and Shop-in-shop (SIS) formats, Reliance Jewels currently has a consolidated presence of 67 showrooms and 40 SISacross 58 cities in India. Dazzling environment, alluring displays, rich décor and great assistance are trademark of Reliance Jewels enthralling experience.